Having varicose veins can pose a big hit to your self-esteem. Everyone can recognise them instantly the moment they see your legs and swollen ankles are a side effect nobody wants to deal with. These large, engorged veins definitely draw attention to themselves, and they are usually seen in the legs, causing most people afflicted to wear concealing clothes. While we know how it looks from the outside, do we know anything about how it looks from the inside? What is happening in there that is causing it to look so ghastly and unsightly on your skin? We have put together an infographic that will give you more insight on it. 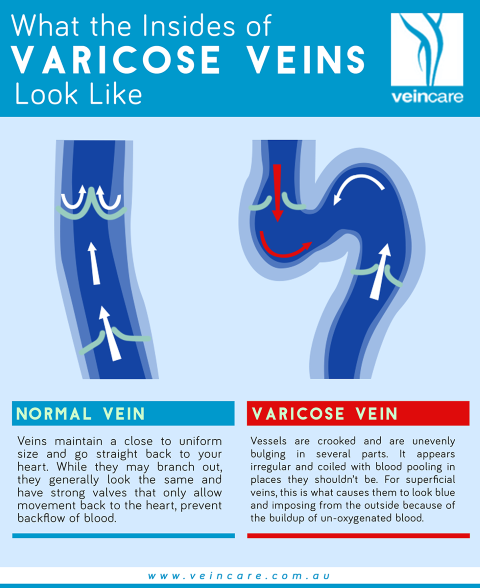 Before we provide an illustration of how a varicose vein looks like from the inside, let’s take a look at how normal veins appear. 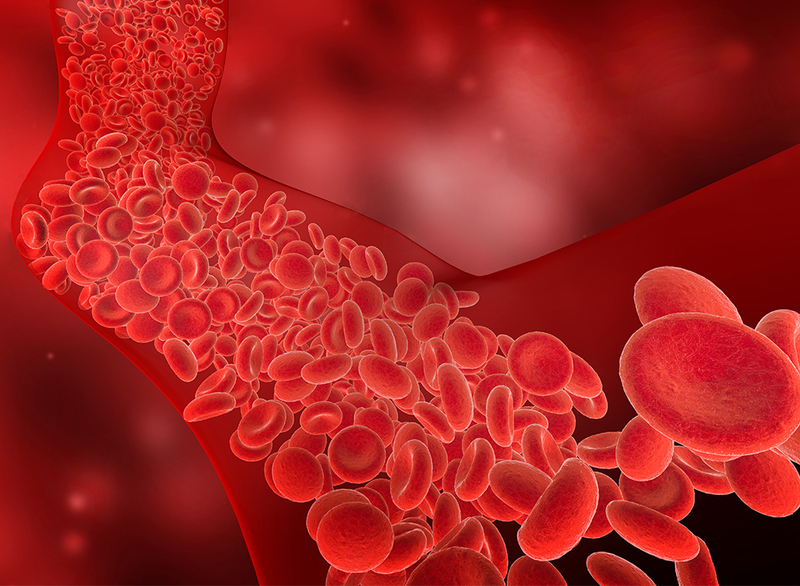 Your veins maintain a close to uniform size and go straight back to your heart. While they may branch out, they generally look the same and have strong valves that only allow movement back to the heart, prevent backflow of blood. For varicose veins, however, you will see that the vessels are crooked and are unevenly bulging in several parts. Because of this, they appear irregular and coiled with blood pooling in places they shouldn’t be. For superficial veins, this is what causes them to look blue and imposing from the outside because of the buildup of un-oxygenated blood. Just like what we’ve discussed above, blood is building up in your veins instead of going back to the heart. The veins can only take so much, and are forced to make room, thus bulging outwards, creating a crooked shape. 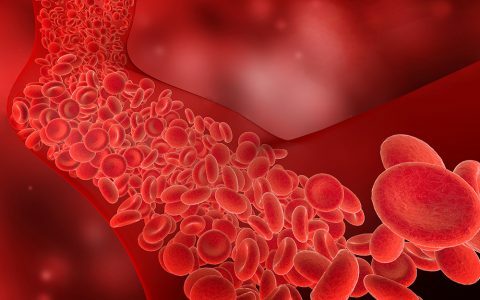 But if we are looking at the factor that started it all, it is valves that fail to close that causes the backflow of blood into the veins. The added pressure causes more valves to fail, and that’s how varicose veins come to be. Of course, this doesn’t mean that it is an inevitable part of the aging process, and that it can’t be prevented or treated. Vein clinics provide different procedures to address the problem, and you are given options that you are comfortable with. Other than that, lifestyle changes will also work wonders in preventing further development, or can even stop it from occurring at all. Visit your trusted vein professional to find out more about it.